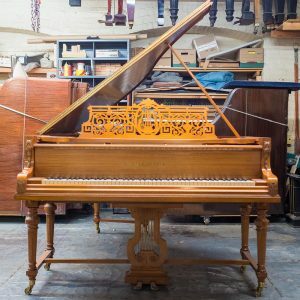 Here are pictures of a rosewood style 3 concert grand piano from 1876. 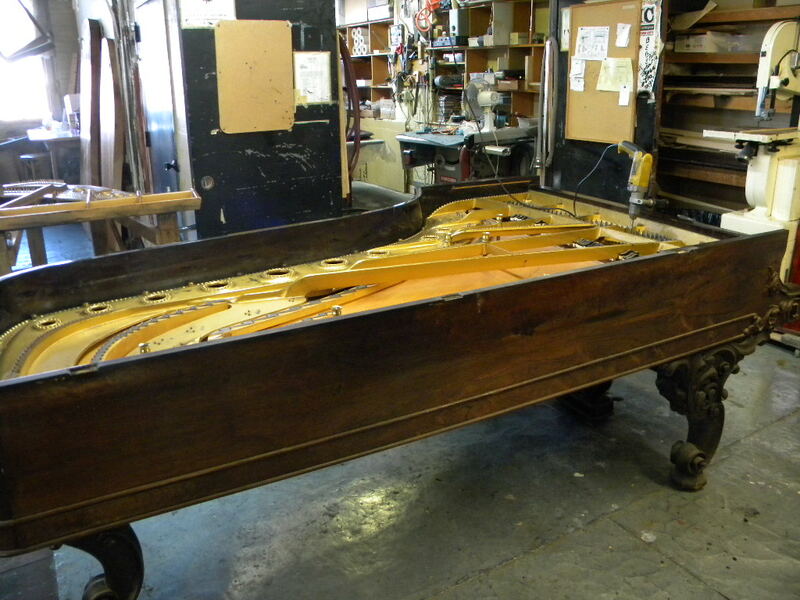 This piano is being restored by Craftsman Piano Co. for the purpose of being sold. 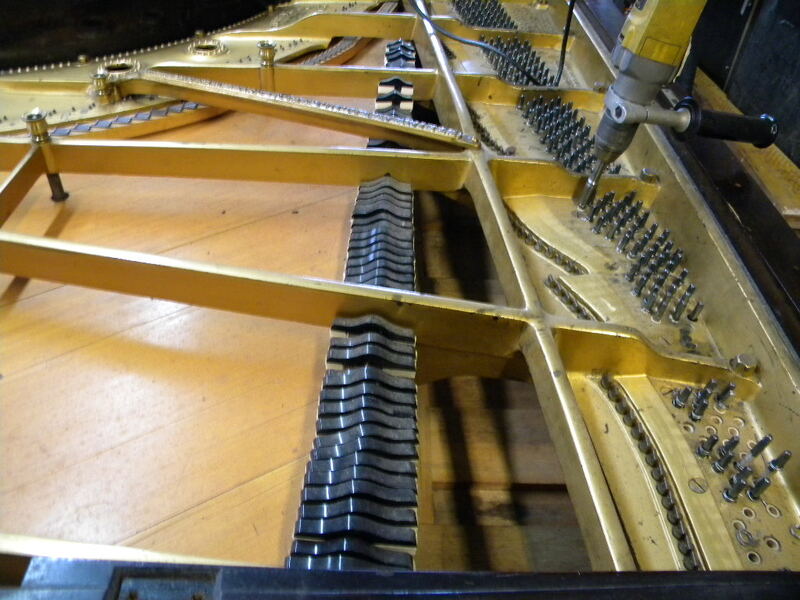 This piano is far along in the evolution of the modern Steinway Concert grand piano. 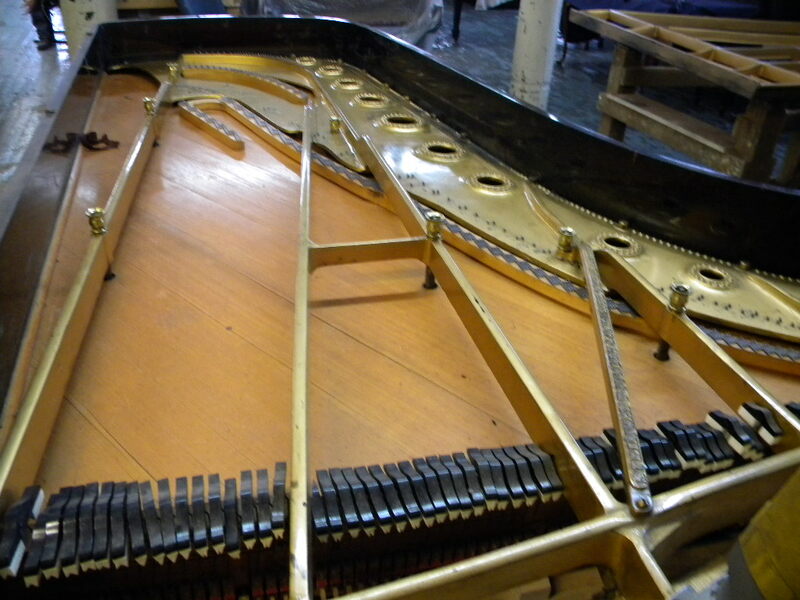 It has a full plate with agraffes extending to the 88th note. The action is the modern capstan design. 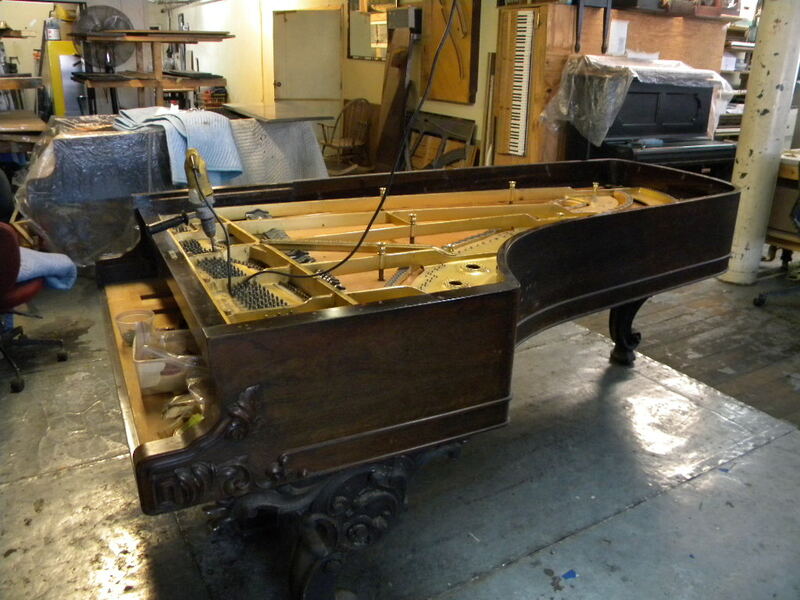 The piano is rosewood with serpentine legs. 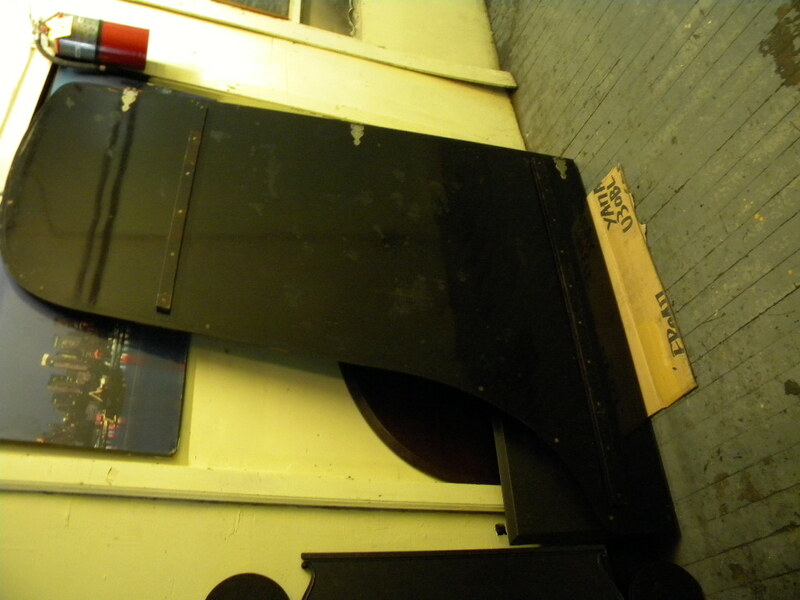 It will be restored to its original condition with a new action, pin block, and sound board. 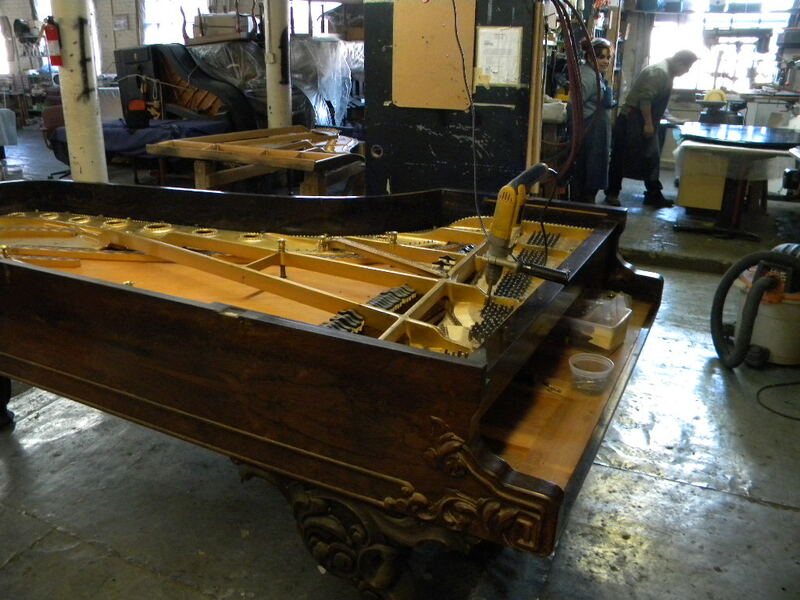 I will post pictures and videos every week to chronicle the progress of this elegant piano.